"Now the issue is in your hands." 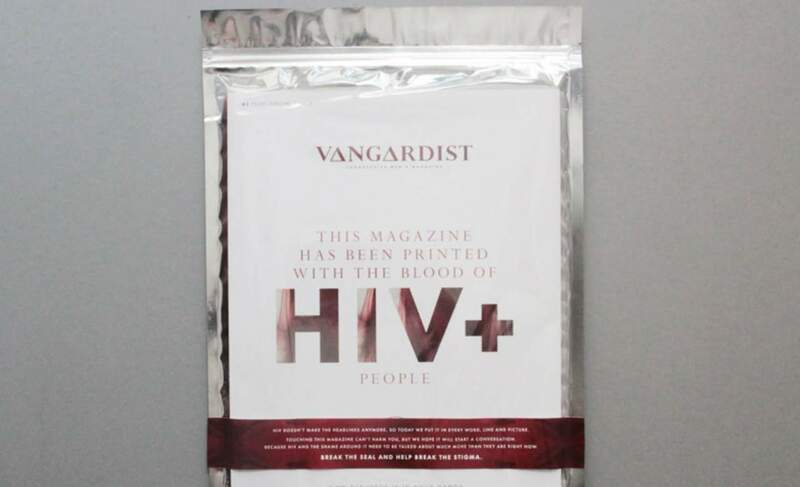 In a provocative move usually found in the realms of contemporary art, Austrian men's magazine Vangardist has just printed 3000 copies of their latest edition with blood-infused ink from people with HIV. 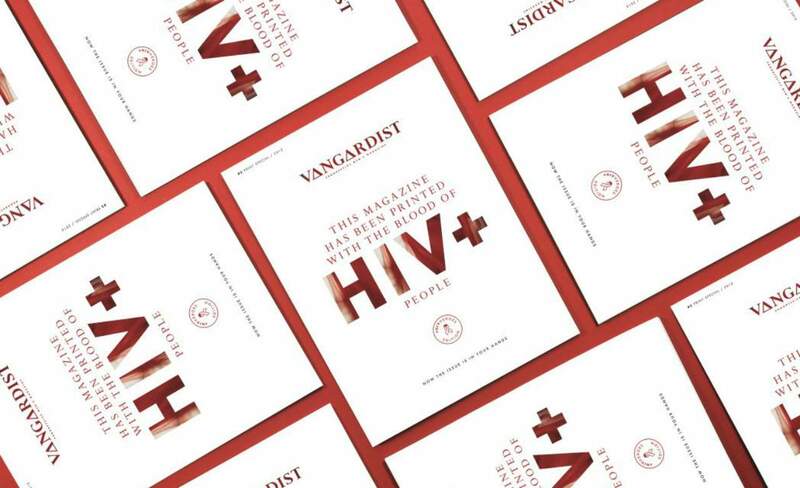 A new project with Saatchi & Saatchi Switzerland, Vangardist's #HIVHeroes issue aims to raise awareness of HIV and AIDS, trigger discussion around the attached social stigmas and raise funds — all profits from this edition go to charity foundations fighting the stigma of HIV/AIDS. The blood-infused ink comes from three HIV-positive donors: a wife and mother, a heterosexual man and a homosexual man. The #HIVHeroes issue comes sealed in plastic, encouraging readers to face their HIV contact fears when physically opening the magazine. According to Dezeen, Vangardist followed Harvard and Innsbruck-produced guidelines to ensure handling of the magazine had no risk of infection. Vangardist describes the plastic-sealed issue as "100% safe", a provocative nod to the prevailing social fear attached to HIV/AIDS and the people who live with it every day. "Although people with HIV can live a normal life in countries with good medical care, they are still faced with a hard social stigma of exclusion," says the Vangardist team. "Most conceal their illness for fear of losing their friends, their job or their partners or even to find a partner. Because still there are still too many people who are afraid to touch a person with HIV, to embrace or kiss. "No matter how one learns of the issue, whether one hears about in the news or reading the newspaper about it, everyone is wondering: "Would I attack this magazine? In any case, anyone who buys one of the limited edition of 3000 pieces is inevitably faced, when opening the special packaging, with its own fears and discomfort. If these are overcome, the next contact with an HIV positive person is very natural run." 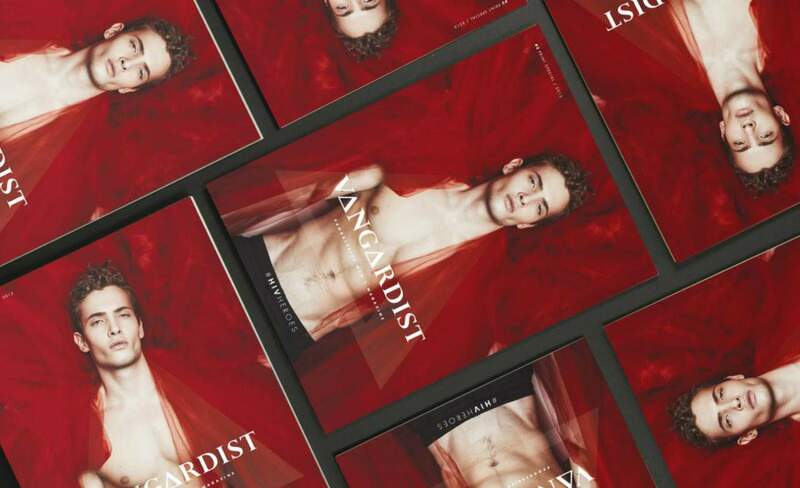 Vangardist's blood-printed issue is being launched to coincide with Vienna's Life Ball, one of the globe's biggest AIDS charity events. The magazine is only distributed in Austria, Germany and Switzerland, although you can contact their customer service if you want to get your hands on a copy.